Free game pack with ebooks, articles and more!. 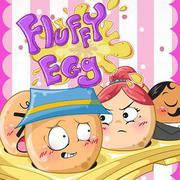 In this romantic game, you'll be solving puzzles to reach to your destination. In the 1 player mode, you'll be playing two characters at a certain time in the game or you can choose to play with your friend from the beginning by choosing the 2 player mode. The objective of this game is to complete the most squares to win, so you must depend on your classmate. In this cool fish eating game you must swim to your destination and eat many sulky fish as you can to gain points. There are many deadly fish that you'll meet along the way like sharks so be careful not to touch them. The fishes are attracted by your light so kill the fishes by shooting bones at them when you spot them. When you kill sharks, they'll leave their hearts behind. Collect the hearts to keep you alive. The batteries will charge your bulb and you should turn off your bulb when you see deadly fish. Have fun swimming in this beautiful ocean. Detective Conrad needs to solve a case and he must solve puzzles in a haunted castle. He must avoid the dangers that await him. Anika's friend the stuffed rabbit was stolen by an eagle when she tried to do her chores. Anika must go into the forest and solve puzzles to rescue her friend. Anika meets interesting creatures along the way. You have to drag the egg to the images you like the best to find out what kind of egg you are In this cute personality quiz. Have fun playing this game!.